For about a year, I thought I would be writing my graduate thesis on video games. I’ve written several seminal papers on it, including the an art historical view of digital games in the Philippines as well as an aesthetics of video games, a case study of Final Fantasy VII: Crisis Core. Of course, in my second year of studies, I took on a completely different path. I may seldom play video games as opposed to hard-core gamers, but I had a love for it since childhood. 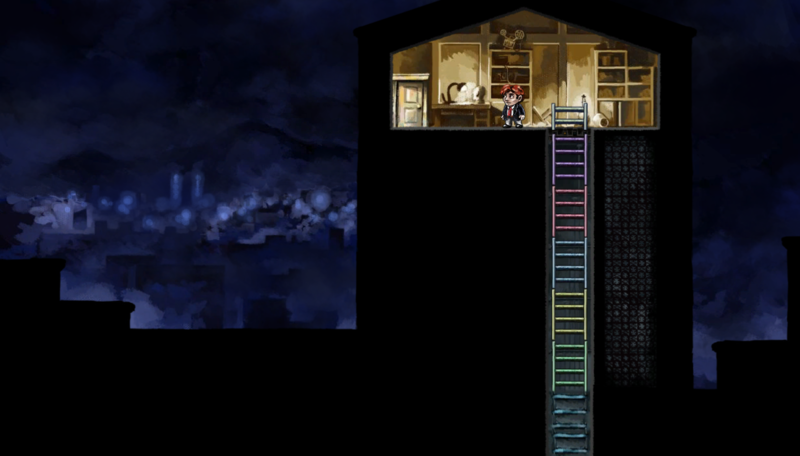 I first tried to play braid some years ago with my the laptop, but the pirated version just wouldn’t work. When I moved on to Mac Air, I initially had no way of purchasing things online. When I finally had some cash and means to do this, Braid was on sale in the Appstore. It’s like the faiths have decided. I’m going to play Braid. It took me a really long time to get used to the controls and to manipulate time and space, which is the point of the game. When I went back to gaming from my family computer days as a child, I literally believed the on-screen instructions. My first play-through in the PSP was rushed. That’s when I discovered the online cheats and walk-throughs. I also discovered the “secret” stuff hidden in the screens. Since then, I have learned to take my time when playing. 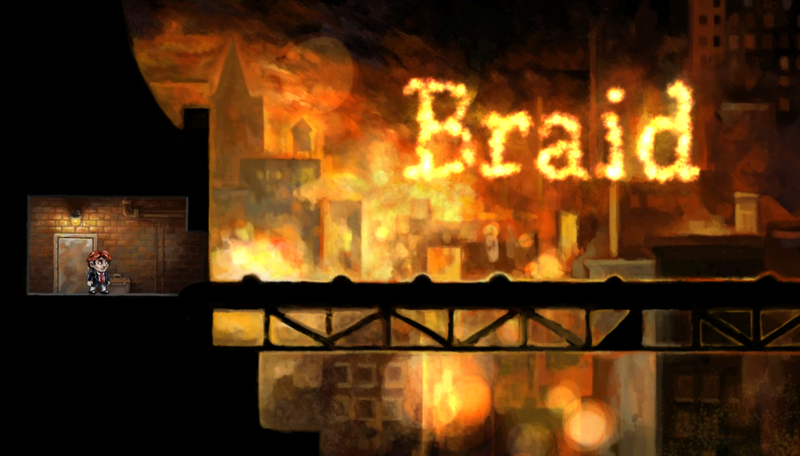 With Braid, there is no way to enjoy this game without taking your own sweet time with it. Attaining this star took a lot of patience. Tim can’t jump that high. He needs to do that slowly using the platform next door. Nope, not much spoiler here that you can’t read elsewhere. I wouldn’t even know about these stars without the walk-throughs available out there. But the walk-throughs are just clues. In the end, you need to do your own thing here. It takes a lot of time and a lot of patience. As I said earlier, you can’t enjoy this game if you would just rush through it. I have to admit, this is as far as I got to the stars so far. It would take me some more time to get all of it. As I said, time and patience is key to this game. I just wanted to see the first version of the ending already. 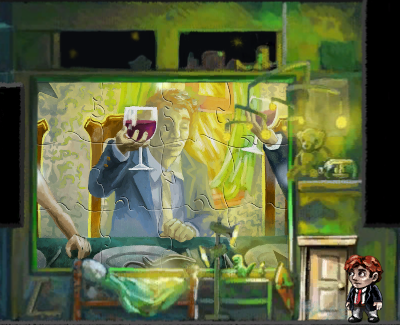 So when all the puzzles are completed, I just went for it. The guides help you get used to the controls and on what you need to do. In the end, it’s all you. The second star that came from World 2 wasn’t difficult to get, except that it will take you about 2 hours to get there. The longest 2 hours ever. The guides and discussions are all about not putting this puzzle together before getting the star. 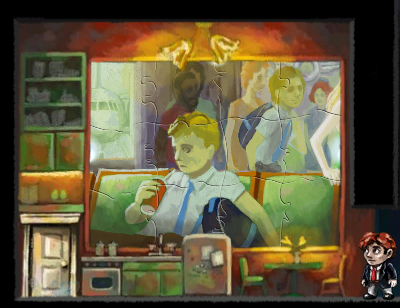 No worries as it took me a while to get the puzzle pieces in the first place. But when it’s completed, I felt like they were toasting to my victory. This part is the most difficult part for me. World 4 was incredibly difficult. The reversal of time and movement is difficult to get used to. 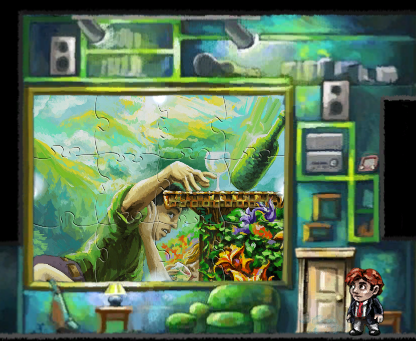 The last piece in impassable foliage, I got so frustrated, I jumped around all over the goombas until I eventually bounced up to where the puzzle piece was. Don’t ask me to explain that. The cheat sounded simple enough, it wasn’t. It was the last piece. Now I can go up to the attic. World 5’s painting is the saddest one for me. Surprisingly, this was the easiest level in my opinion. Or maybe by this time, despite the differences in time manipulation in all the worlds, the controls made more sense now. Even the play-through was melancholic as when you turn back time, your shadow re-do what you did. The shadow’s image is completely morose. But at least I finished this level with few difficulties. I’ve read some of the forums, spoilers and analysis. I know what they say. This painting shows this lost frustrated man. World 6 is the last one before going up to World 1. It’s prophetic really. The melancholia and madness are becoming stronger than ever. The search for the Princess is nearing its end. There is something so satisfying in seeing the worlds, the paintings completed. The painterly style of this game is amazing. I initially thought the visuals was over-rated, until it all started coming together. When I re-visit the worlds, I see it with new eyes. 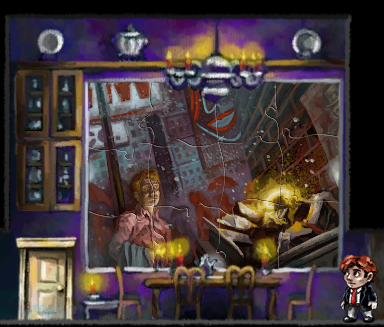 Since I am not frustratedly rushing into it, I managed to appreciate the fine little details of the background in the different game universes. Tim’s house, of course, shows the end-all of the game. The concept, the problem, the art, probably took a long time to complete. I am glad I actually paid to play this. It would’ve been plain wrong if I didn’t. Alas, I got to the elusive attic. The stairs manifested after each world is complete. Look at the background, the skyline. Does it remind you of something? I remember watching the news more than a decade ago as it unfolded. I am half-way across the world, but I was also shocked and scared. It looks incredible here now. I will not say it. Too many articles written on it already. 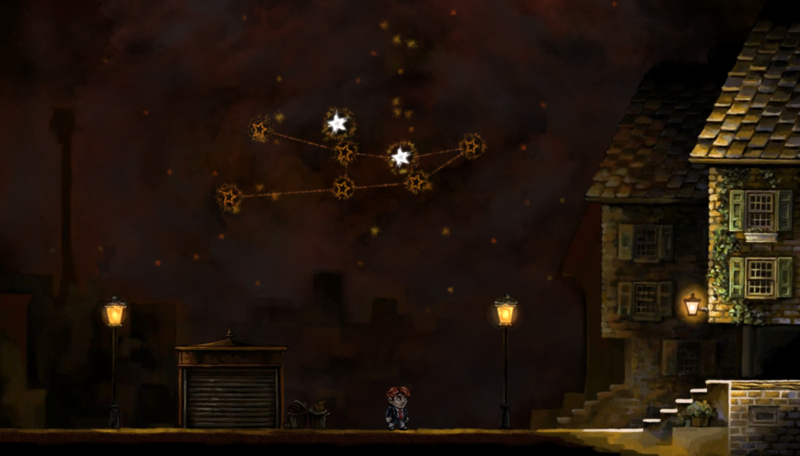 Braid’s story lies on so many levels. This homage is only a small parcel of it. Maybe in another post, I will structure other stories. 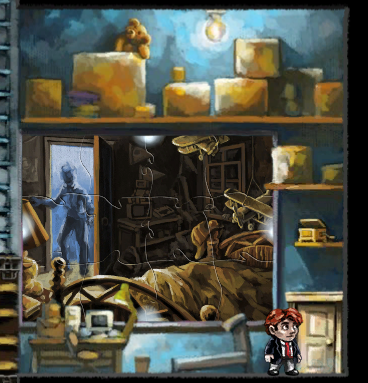 For now, it is me, and how I played Braid. There are so many stories that I can tell of Braid, eventually, I know I will tell it. This game is staying in my Mac as long as I have it. Perhaps when the time comes for a new one, I would still re-install it there. This is the last frame in the Epilogue. 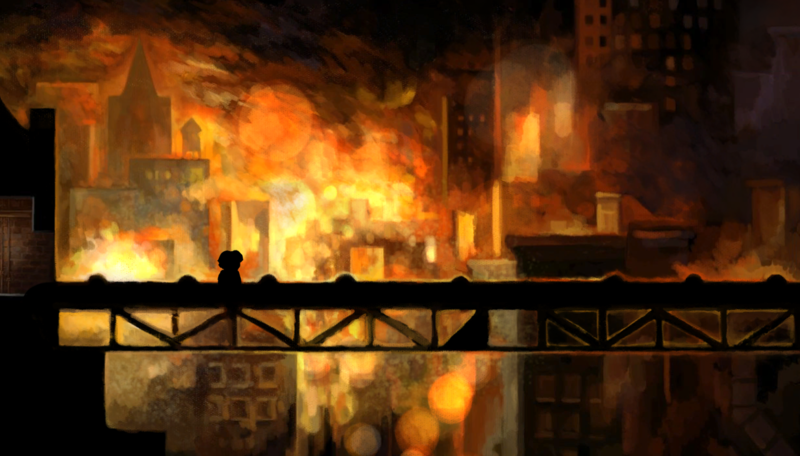 Yes, the Epilogue comes last as Braid’s story is cyclical. You start with the end and get to the beginning. I still need a number of many stones to write the full story, in the end, I know that it will still not be enough. For now though, these are some of the stones I have gathered. If we can manipulate time and space as Tim, what will we change? Our actions have bigger repercussions than we could possibly know. I forgot to take a screen shot of the Princess, maybe that is just as well. 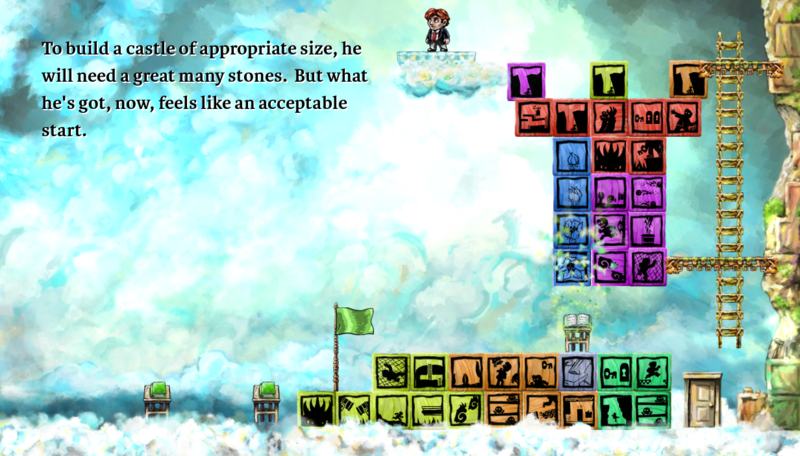 I look forward to having the time to write a fuller story, article, aesthetic and historical analysis of Braid. The game deserves it. But for now, this is my story. 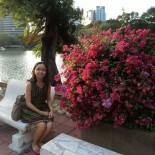 If you can travel back to the Epilogue of your life, what will you change? Great post! Art also mratets when it comes to legally protecting your game. Copyright and trade mark law protects unique expressions or marks. The more attention focused on the artistic aspects of the game should result in greater legal protection. 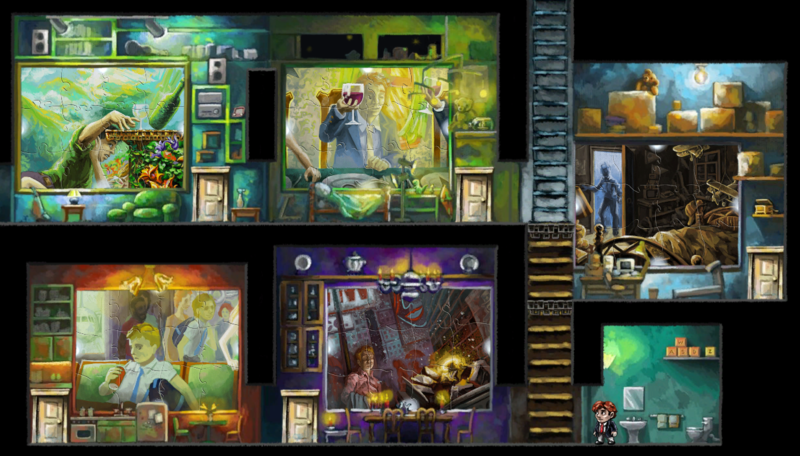 This entry was posted on February 11, 2012 by Portia Placino in Digital Art and Culture, Game Review, Random Writings, Reviews and Musings and tagged Braid, Games, Indie Game, Platform, Puzzle, Video game.